It seems in this social media age, new digital photographers flood the industry every day. These “professionals” boast low prices and high quality. There’s nothing wrong with that, but how do you get your work to stand out from the pack? What makes your images different than Johnny Photographer who was given a DSLR for Christmas along with a 1-year subscription to Adobe PhotoshopCC? Furthermore, what makes your business better than the average photographer’s? The answer partly lies within that very question. 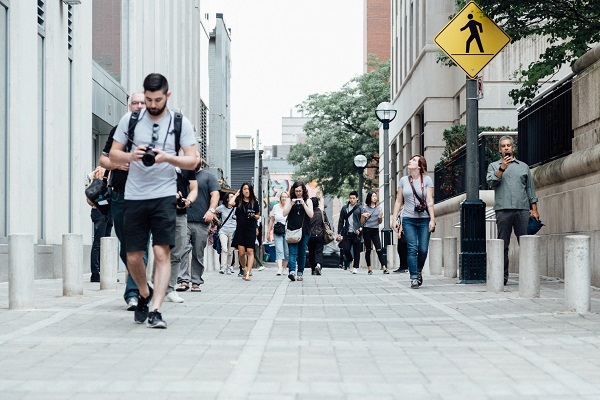 Below, are eight simple steps to get you started in your race to stand out. Let’s face it, new, inexperienced photographers will always be here. Keep in mind, you used to be one! On the bright side, many of these newbies will drop out before they ever get going and others will plateau in their work. So, in the meantime, aim to be different from them. From how you handle the financials of your photography business to what lens you use on a senior shoot, being different is a key component in successful art. 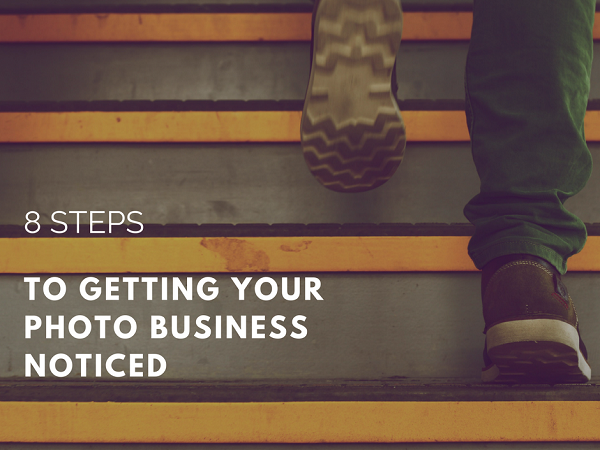 You can study successful business owners to gain inspiration on fresh, new ways to run your photography business. You can study the work of famous photographers to learn new methods to incorporate in your workflow to get noticed. Pictures tell stories. They write words with pixels. However, sometimes it’s beneficial to write textual content to accompany your images. 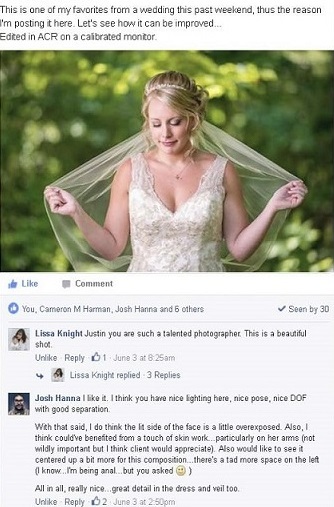 You see this often with wedding photography and journalistic photography. In 2016, having a well-run website for your business is paramount. Many successful photographers will take this a step further with a blog, showcasing their work. For example, Johnny Photographer covers a beautiful wedding this Saturday and you cover a beautiful wedding this Saturday. He simply posts some of his favorites images on social media whereas you post a few teaser images on social media with a link to a blog article you wrote about the wedding featuring images, vendor information and more. Johnny Photographer gets a few “likes” from family members and you get multiple page follows from potential clients, two bookings and a few referrals from the vendors you mentioned in the blog. See what you can gain by creating a blog? I live in Charleston, West Virginia, and the market is literally saturated with aspiring portrait photographers, many of whom believe they’re “professional.” The bulk of these “professional photographers” do the majority of their portrait sessions at one of two places. Thus, everyone’s senior pictures and family pictures pretty much look the same. So, keeping in line with being different, I travel different back roads when I’m not busy, in an effort to scout out new and exciting places to hold portrait sessions. It’s a no-brainer. Find a location no one else shoots at and your work will stand out. Many times, I’ve stumbled upon private property where I had to ask the owner for permission to shoot. Totally worth it, though as you can see from the senior portrait below! The words “good job” are probably the worst a photographer can hear. Don’t get me wrong. Everyone loves hearing how great they are. However, there’s no value in that. You’re not going to learn how to get better by hearing that phrase. So, find a few great photographers. Befriend them. Ask for critiques from them often. Ensure they give you objective critiques. If you don’t know where to start, check out Facebook groups. Many groups offer critiques under the abbreviation: “cc.” By learning what you did wrong in a shoot, you’ll gain the knowledge necessary to correct your problems, thus adding even more quality to your work. You’ll stand even further out from the pack of mediocre photographers. Great artists study other great artists for inspiration. They learn what they like and dislike when viewing the work of others. I began getting serious about photography when I started studying the work of Josh Hanna, a local portrait photographer. I noticed quickly that his images contained multiple elements that mine simply lacked. I befriended him, and still to this day, I seek his advice and gain inspiration from his photography. I also study paintings from ancient times to modern day. When viewing a famous work, I ask myself “What makes this great and what makes this stand out?” It may be that the artist combined the Rule of Thirds in a cool way or it may be that the choice of complimentary colors was achieved in a really unique fashion. Art is often comprised of patterns and ideas. 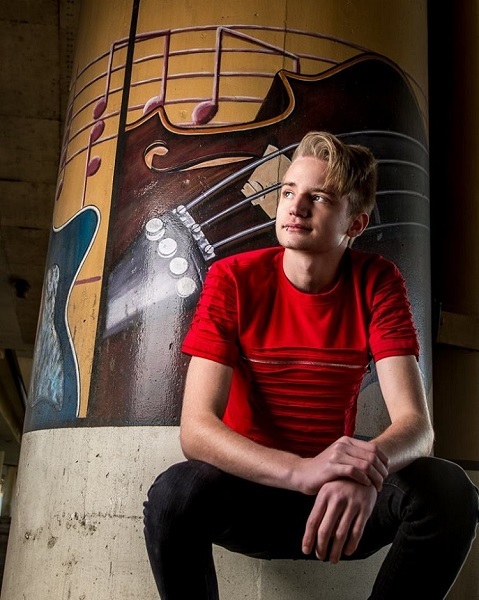 I gain inspiration from music, paintings and more to make my photography stand out. One problem beginning photographers struggle with is not fitting in to a specific niche. They tend to focus on all forms of photography and wonder why they don’t excel at any. Yes, it’s great to learn all forms, such as landscape, portraiture, macro and more, but the most successful photographers seem to focus primarily on one aspect. They know how to photograph anything and anyone, but spend the bulk of their time taking pictures of one type of thing. If you focus on one aspect of photography, you’ll excel at a much more rapid rate than if you overwhelm yourself with everything at once. Furthermore, your brand will gain unique identity which will appeal to certain types of customers. You’ll stand out from the pack, once again. For instance, if you love senior photography, then focus on that and push your marketing to seniors and their parents. If you love insects and flowers, then focus on macro photography and push your marketing toward that. Photography is an art form. It’s not governed by rules and laws. In fact, it’s one of the few things in this life that offers freedom and liberty to its users. “But what about this law and that rule?” you ask. In art, we may call something a “rule,” such as the “Rule of Thirds,” but these rules are nothing more than starting points. They’re suggestions. Once you’re familiar with all the basic rules of photography, you break them. For instance, I love shooting at eye-level for portraits, as that’s a basic rule. However, I love breaking that rule even more. The best artists of all time have one thing in common: they all did something different than the status quo. They stood out some way, somehow. This is what you ultimately want to do. You can have the best images in the world, but if no one ever sees them, you won’t succeed. After all, you’re in the business of getting your pictures noticed, aren’t you? So, if your work resembles the work of every other photographer in your city, your business probably won’t last that long. I mean, why should a customer pick you to take their pictures when they can hire Johnny Photographer to do the shots with the same style at a lower price? 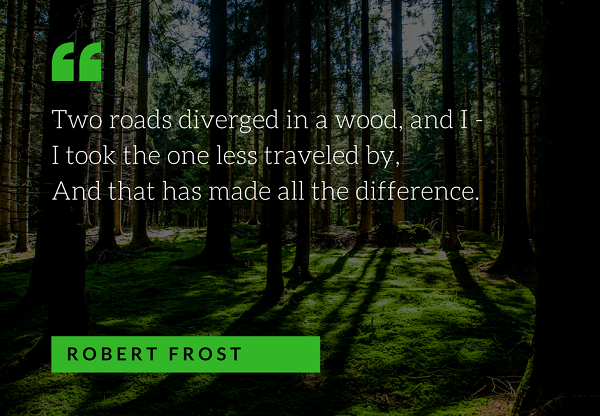 Robert Frost wrote his famous poem The Road not Taken, an ode to nonconformity. Frost essentially said choosing the path less travelled, makes all the difference. Frost is arguably one of the best American poets to ever live. He knew a thing or two about standing out. Don’t be afraid to be different. Take risks, not only in your shoots but in the way you run your business. The list above is a starting point for you to branch out from the pack. You can either view other photographers as a negative thing or an inspiration to do better. If you want to get your photography business noticed, then use other photographers as fuel for your fire; a way to drive you to constantly improve your craft, try new things, take risks and get noticed. 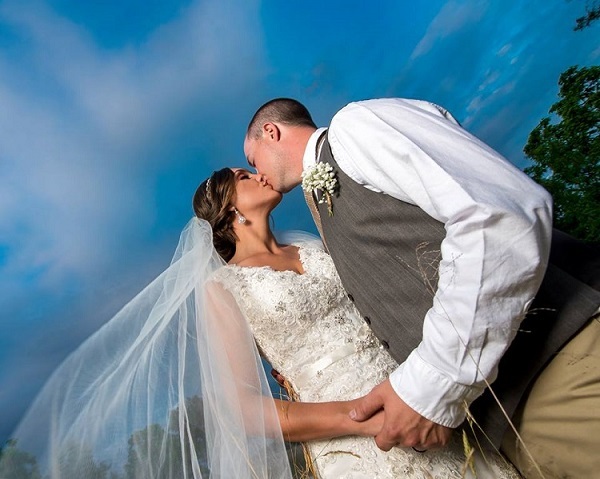 Justin Waybright owns Waybright Photography, a business based out of Charleston, West Virginia. He has more than 10 years experience in professional portraiture and focuses on weddings, seniors and families. Waybright has work featured in various newspapers and blogs. The father of three got his start in photography through journalism. He then went on to work for LifeTouch Portrait Studios and Olan Mills. 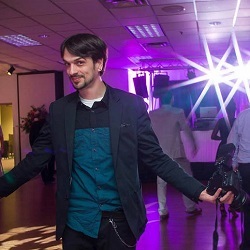 Waybright prides himself on offering unique images to those he serves.